We are in gorgeous Guanajuato presently, a spectacular UNESCO world heritage town in Mexico. I have so many pictures to show from this gold mine of street shooting. For now, I shall present the incredible view from our flat. 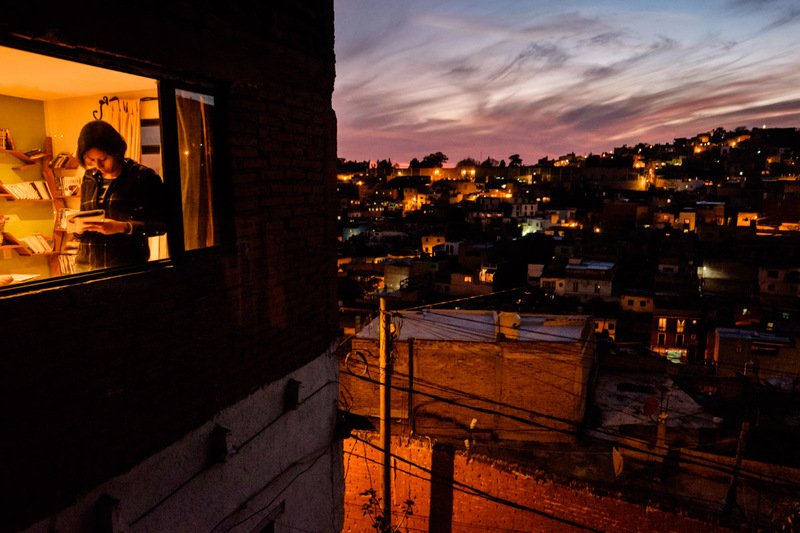 Charlene was writing in the living room, I asked her to move to the window so I could shoot this vista of the Magic One with Guanajuato in the background.